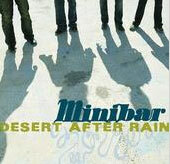 Minibar has stocked its new disc with several inviting, single-serving treats, but this L.A.-based group of transplanted Brits doesn't flimflam the public, the way hotels do with their little nips, or Tony Blair with his pretty speechifying. "Fly Below the Radar's" most readily detectable traits are the shifting, spectral roots-rock sound textures shadowing Simon Petty's warm, dusky vocals. The disc's 11 songs also benefit from Petty's poetic sensibility; he may not have anything particularly astonishing to say about love, loss and displacement, but he has a knack for clever turns of phrase. Perhaps only Brits can get away with the mellowness and resignation peddled by Minibar. Then again, The Wallflowers and Counting Crows haven't done too badly, have they? ©2003, The Morning Call, Inc.